A snowy Priory Park in Warwick, March 2018. It may or may not have escaped your attention, but the last Friday and Saturday, the archive and museum services ended up closing early at some points. It’s rare indeed for the buildings to close to the public (it’s the first time it’s happened since I started, back in the mists of… 2012?) so it was kind of noteworthy. Out of that came an opportunity however. As you do, it got me thinking about the modern working patterns compared to the past. Of course part of the issue is that staff don’t live local, so even if conditions are fine close to the sites themselves, it may not be possible to get there. Conversely, it may be fine where you live, but terrible around the area of the sites themselves! Back in the day (or at least this is my impression!) it seems that people lived close to where they worked – it would be the exception for somebody to live a distance, and commute. As society gets more mobile, however, that changes. Now, it’s more the exception who lives in the same town as the archive anyway, it seems. So, how people react to the weather changes. People also travel further on occasion to use our services, but they also have access to databases, sites such as ancestry and findmypast… and Our Warwickshire, of course! So snow, and weather changes, have different impacts to what they did in the past. Do we perceive things like the weather differently? 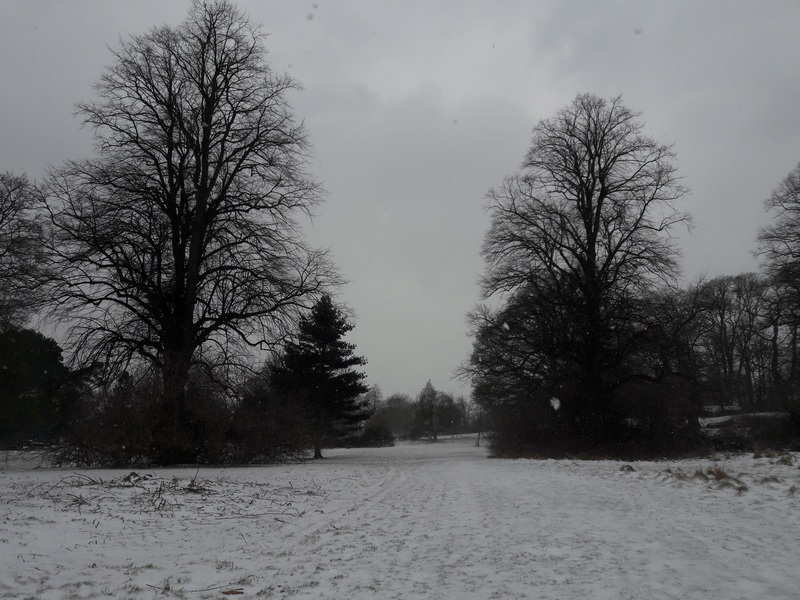 Mary Freeman reports almost brusquely how early March 1895 saw a ‘cold day, with showers of sleet and snow’ but adds little else. To actually think and reflect on how we interact with something so everyday as the weather, compared to our ancestors, asks us to think about things we take for granted. If any of you have any thoughts on the matter, do please tell us!